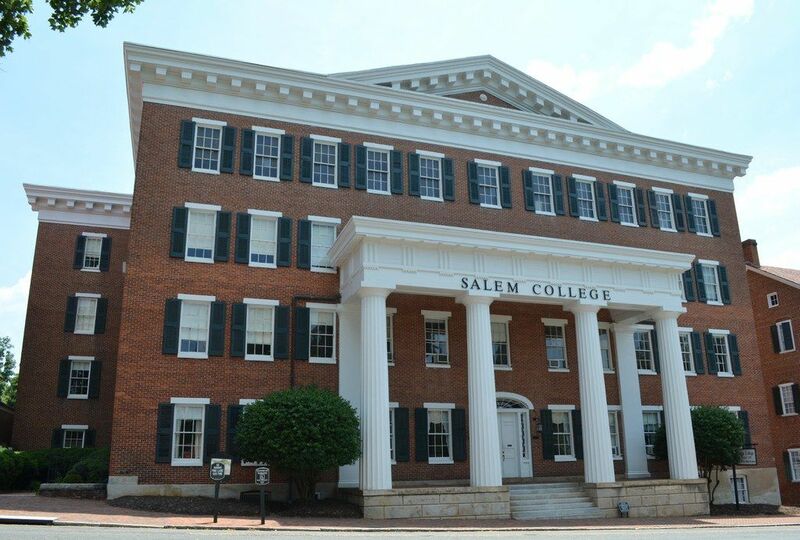 Salem College has once again been ranked in the top tier of the Best National Liberal Arts Colleges by U.S. News & World Report, which released its annual college and university guide today. Among the 249 liberal arts schools, Salem, with its undergraduate enrollment of nearly 1,000, ranked #148, moving up from its 2013-14 debut at #156.U.S. News divides colleges and universities into 10 categories: national universities, national liberal arts colleges, regional universities (North, South, Midwest and West), and regional colleges (North, South, Midwest and West). National Liberal Arts Colleges are characterized as focusing almost exclusively on undergraduate education and awarding at least 50 percent of their degrees in the arts and sciences. Schools are ranked using several indicators including peer assessment, graduation and retention rates, faculty resources (class size, faculty/student ratio, percentage of full-time faculty), student selectivity (average SAT scores, acceptance rate) and alumni giving percentage.“Such reports are not able to provide the full picture of what liberal arts colleges can offer students in their preparation for future professions or graduate school,” says Dr. Lorraine Sterritt, President of Salem Academy and College. “However, they do offer a starting point for students and their parents in their efforts to appreciate the unique aspects of many fine schools and discern the right fit for them. Exposure to many options often leads to a campus visit during which most students will discover where they can thrive.”The U.S. News annual guide can be helpful, particularly when nearly 50% of Salem’s incoming students are the first in their families to attend college. Among other notable accolades for the 242-year-old school for women, one-third of the incoming class students were among the top 10% of their high school graduating class; 75% were among the top 25%. Three percent of these first-year undergraduates were class valedictorians, and the average GPA is 3.80.“We are proud of Salem’s commitment to offering a rigorous liberal arts education and to building a diverse and engaged student body by admitting students who have high potential for academic success and who demonstrate serious purpose,” Sterritt added.For more information, visit usnews.com/colleges.